Our exclusive range of School Bags is made from quality raw materials reflecting true workmanship and finish. Available in different shapes, sizes and colors these are of high utility and can be availed by our clients at industry leading prices. 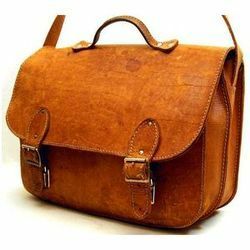 Looking for Leather School Bag ?